Wanna know something really interesting? Nursing assistants could see an increase in employment by 17% from now until 2024. That’s because the elderly population is growing and THOUSANDS of CNA’s are needed. That means the probability of you landing a job is pretty high. Now all you need to do is write a professional CNA resume that shows off your skills and achievements. New to the profession? No worries. You can still create a good CNA resume with no work experience and attract the attention of a recruiter. See, a good resume is a direct reflection of you and your work ethic. Taking the time to write a good nurse aide resume tells recruiters you mean business and are serious about securing a job. A Certified Nursing Assistant resume example better than 9 out of 10 other resumes. How to write a CNA resume that will land you more interviews. Tips and examples of how to put skills and achievements on a CNA resume. How to describe your experience on a resume for a Certified Nursing Assistant to get any job you want. Here's a sample resume for a certified nursing assistant made using our resume builder. CNA Resume Example - See more templates and create your resume here. Are you a nursing student trying to find their first job? You are in luck. What’s The Best Format For A CNA Resume? 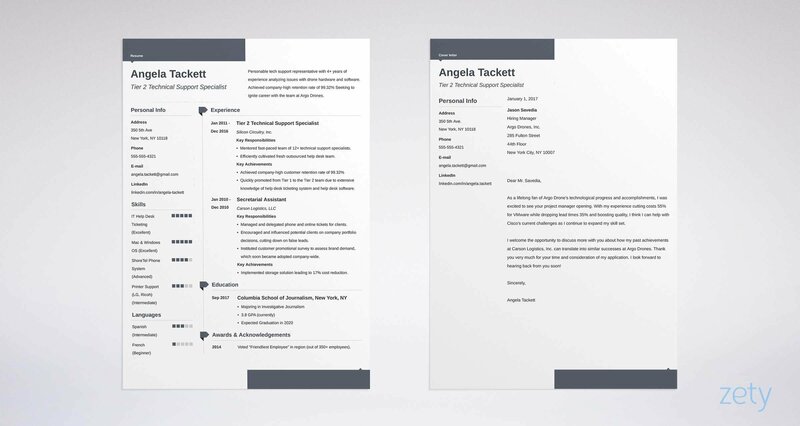 Kicking out a great resume is all about proper formatting. If you don’t format in a way that pleases a recruiter, you may find your resume in the recycling bin. Maybe you have years of experience taking care of the elderly. Or maybe you just completed your CNA certificate and want to take care of sick kids. No matter, your certified nursing assistant resume will use the reverse chronological format. If you are an experienced CNA, start with your most recent job and work backwards. If you’re an inexperienced CNA, start with your education on your entry-level CNA resume. Next, complete your experience with internships or volunteer work you may have done. Do you babysit? Swell. Babysitting would be the perfect inclusion. Don’t sweat the fonts, margins, and layout. Choose a 12-point classic font like Arial, Helvetica, or Verdana. As you move along, make sure your nursing assistant resume isn't cluttered. You want to attract attention to your skills and achievements, not to your ability to be a make a mess of things. Pro Tip: Proper spelling and grammar will win points with recruiters. Consider using an online tool like Grammarly to help you flush out any mistakes. You’re a big deal now. If you don’t include your CNA in your contact section, the chances are your resume might be chucked out. This would be a sad day, because now you’re not such a big deal anymore. Add CNA after your name. And don’t forget your license number. You’ve earned these accolades. So shout them out to the world. See, when job seekers like you scan a job post, they miss necessary requirements to include. Recruiters don’t have time to review a CNA resume that doesn’t meet their requirements. Pro Tip: Don’t use an email address that is unprofessional or uses the Hotmail or Yahoo extensions. Create a new email address using the Gmail extension. Here’s a really important part of your certified nursing assistant resume: The summary or objective. Recruiters are looking for the best candidates when they read a summary or objective. These little paragraphs need to show off the best part about you in 2-3 sentences. But what’s the difference between a summary and objective? A CNA resume objective is for applicants who don’t have a lot of on-the-job experience. If you are a CNA with no experience, give a quick introduction of who you are and why you would be a good hire. New nurse looking for a job with old people. Reliable, bi-lingual CNA of 10 years in diverse healthcare settings for elders, eager to leverage management experience and take patient advocacy and care to the next level. CPR certified, BLS certified (current). Available nights and weekends. CNA of 10 years looking for new challenges. Don’t forget that a CNA license needs to be renewed every two years. The resume summary is a great place to let recruiters know when you last renewed it. Want to impress recruiters further? Healthcare assistants are in high demand. They are often asked to start working evening hours. Let recruiters know that you’re available to work those hours in your CNA resume summary. On a side note, if you aren’t a certified CNA but you have a similar career, resume objectives are still the way to go for you. Orderly: A hospital attendant charged with non-medical patient care. Psychiatric Aide: Like a CNA, except this position works with mental health patients. Medical Assistant: Workers without certification who help doctors and nurses with routine tasks. Pro Tip: Include hours of availability in your resume summary. Look! We’re halfway there! Hooray! Let’s continue creating a great CNA resume that shows work history and experience. Remember to add your most recent job first because that job is of most importance to the hiring manager. Add any nursing assistant resume duties here. List no less than six responsibilities or achievements. Delegated CNA staff to understand infectious disorders and methodologies for infection control. Directed patients to complete understanding of their physiological disorders. Mobilized the ability to observe Privacy/HIPPA regulations. Inspired empathetic care and compassion among staff and patients. Directed a team of CNA’s in the absence of the Nurse Manager without incident. Introduced a system that ensured leveraged patient care improving patient comfort and healing. Told staff members to study disorders. Explained to patients what was wrong with them. Was nice to patients and other staff. Made corrections to the system. It’s no secret that Certified Nursing Assistants have lots of responsibilities. Sometimes so many, that their achievements go unnoticed. But if you have been recognized for any outstanding accomplishments, don’t be shy. List them in this section, too. Those words are dry and make you ordinary. You’re not ordinary. You’re extraordinary. Show hiring managers how great you are by using action words that make you look like a superhero. Because let’s face it, in the nursing profession you are. Collaborated with patients while using a transfer/gait belt. Delegated perineal care duties to other CNA’s. Advocated high level of care and comfort for each patient. Consulted patients while dressing weak arms and legs. Fielded and recorded patient information with accuracy. Maintained positive relations and compassion with patients. Told other CNA’s what to do. Was nice to old people. Okay, Pop Quiz here. Do you recognize the above skills? You should. They are the ones needed to pass the clinical part of a CNA exam. But you knew that already because you’re a nursing superhero. Pro Tip: When you’re determining how to write skills on a CNA resume, use action words to describe your duties. It’s time to show the world the power of your CNA training. As you make a CNA resume, include an education section that shows off how and where you became certified. Every state has a Nurse Aide Registry. This registry establishes nurse aide training and competency. Be a gem and include the state you earned your certification in. Recruiters love that. Every CNA program varies, so be sure to include the number of hours in your training program, too. If you haven't taken the exam yet, put Certification in Process instead of the hours. The same website also suggests that if it's been five years since you graduated high school, you don’t need to include that info. Okay, one more thing is this section. Pro Tip: Stick with industry standards and formatting. Recruiters like seeing information listed this way. Skill can make you or break you. Without them, recruiters won’t think twice about not hiring you. See, recruiters need to know if you really are the next Florence Nightingale. Florence Nightingale was the pioneer of nursing because she had hard and soft skills. What’s the heck are those, right? Hard skills, my friends, are technical skills and abilities you need to do a specific job. Soft skills are often linked to personal qualities and people skills. Ambulate residents using a transfer/gait belt. Assist residents needing to use a bedpan. Change bed linen while residents remain in bed. Change residents position to a supported side-lying position. Dress residents with weak limbs. Measure and record a resident’s radial pulse. Measure and record a resident’s respirations. Provide catheter care to residents. Provide foot care to residents in a chair. Provide mouth care to residents. Provide perineal care to female residents. Provide residents hand and nail care. Provide residents a partial bed bath and back rub. Provide residents with passive range of motion (ROM) exercises. If these skills look familiar, it’s because they are required to pass the clinical skills part of your exam. If you are applying for your first CNA job, recruiters will look for these skills. They want to see them listed on your Certified Nursing Assistant resume. Considering the level of comfort for each patient. Observation skills for marking the patient's mental and physical health. Strong verbal and concise written communication skills. Instructing family members about care. Utilizing adaptive equipment and safety devices properly. Measuring and recording vital signs. Can you speed type with ease on a computer? You’ll want that as a skill. Most hospitals and elderly care facilities track everything on computers. If you have administrative skills include them on your CNA resume. Include stellar computer skills, too. Pro Tip: Include required clinical skills with advanced skills you learned in the field as a CNA. This section is your saving grace if you're new to the whole CNA gig. If you have any licensures, awards, or certificates, list them here. Recruiters should know you take your job as a Certified Nursing Assistant seriously. And seriously, it’s important to take CNA seriously. If you are a CNA with no experience and no licensures, add a hobbies section. Include hobbies related to the job you are applying for. Maybe you can build a model airplane. That skill might be attractive to recruiters looking for new group activity ideas. For new CNA’s with limited experience, adding information like this could get your resume to the top of the pile. Next, maybe you raise crayfish. Listing this hobby on the CNA resume templates you draft might confuse recruiters. Especially because crayfish swim in circles and you just watch them. Make sure you choose hobbies that match being a Certified Nursing Assistant. That means if you walk the neighbor's dog and feed it when they’re gone, add this! Dogs need love, too. Walk and take care of my neighbor’s dog when they go on holidays. Pro Tip: Include hobbies and interests that fit the traits of the job description. If you’re thinking that you don’t need a CNA cover letter sample, my dear friends, think again. There is a myth in certain circles that cover letters are not necessary. About 32% of recruiters say they get more than their share of junk resumes. This means they can’t find talented candidates that fit the bill. You wanted to be the talented one. You don’t want to be junk. Or bathwater. That’s why you need to write a sample CNA cover letter that makes recruiters swoon. Did you know that recruiters spend about 6 seconds looking over a resume? That’s no time at all. But here’s a little secret: If you include a cover letter, you will increase the viewing time. Explain why you’re the best candidate. Explain any gaps in work history or career changes. Include your contact information on your CNA resume cover letter. Include the employer’s contact information, too. And don’t forget to add the date. That’s kind of important. Next, write the basic body of the letter and wrap it up with a witty conclusion. The deal is, you want to hook recruiters in the first paragraph. That’s the entire purpose of a cover letter. Don’t forget to incorporate skills needed for the job, too. Pro Tip: Let your true self come through in your letter. Don’t try and be someone else. Being authentic and witty is the key to a good hook. Open your resume with a CNA resume objective or summary. 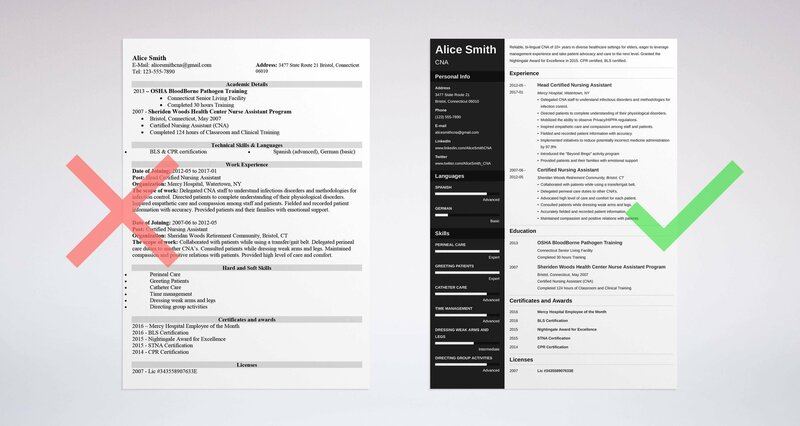 Tailor every resume you send to match the requirements of a given position. In your work experience section, use action words to highlight your achievements. Don’t forget to include any extra certifications or licensures, too. Did we miss anything? If you are still struggling with how to write a CNA resume, let us know in the comments, and we will do what we can to help. Thanks for reading! 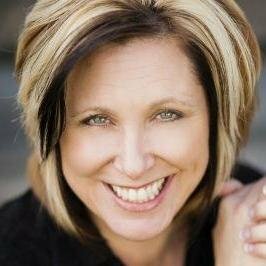 Joleene Moody is a content writer and ghostwriter, writing posts and books for those who can’t or don’t have the time. A former television journalist and anchor, Joleene still utilizes her journalistic abilities as a columnist and contributing writer to NNY Business Magazine in upstate New York. Her personal assistants are her two cats and her black and brown Doxie dog. Yes, she is never alone.